The thought of losing loved ones can be unbearable. The idea of never again seeing their faces of hearing their voices can intensify the sadness that is felt when someone close is diagnosed with a terminal illness. Having advance warning that time is limited, though, can provide terminally ill patients with opportunities to create memorabilia for their loved ones so that they can leave behind a few smiles and maybe even a kind word or two. Most people enjoy leafing through old photo albums – the tattered snapshots are sure to elicit many memories of days gone by. 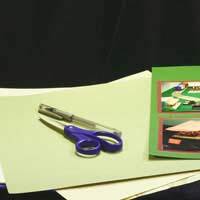 For those who know that they will not be able to be a part of their family’s lives for much longer, creating memory books for loved ones can be a way to preserve cherished memories for years to come. Memory books range from simple photo albums to highly detailed scrapbooks. Most books include photos, of course, but including ticket stubs, menus from special dinners, or personal notes can make the books even more special. While familiar faces are easily captured in photographs, loved ones often miss hearing the voices of their departed friends and family members. By recording tapes for those they leave behind, terminally ill patients can know that whenever their survivors are missing them, they can simply pop in a tape and hear their voices. Parents of young children may choose to read favourite bedtime stories, sing lullabies, or simply talk about the love that they have for their children. Tapes can be made for assorted friends and family members, individualising the messages for each recipient. If photos are nice and tape recordings are even better, videos are the ultimate way for the terminally ill to leave their loved ones with little pieces of themselves. Again, different videos can be produced for each loved one, with the emphasis being on making them as personal as possible. Parents who know that they will miss important milestones in their children’s lives can prepare videos offering the advice they had hoped to deliver in person. For example, a dying parent may prepare videos of themselves talking to their children about the importance education, being true to yourself, finding lasting love, or prioritising the important things in life. More than anything, these videos should be used for the terminally ill to express themselves and the feelings that they have for those they will be leaving behind. Many people choose a few treasured items and display them in shadow boxes, creating keepsakes that can be kept in view for survivors to enjoy and serve as remembrances of those lost. These displays are best when they offer a true representation of the person for whom they were created, filled with items that give a quick overview of a person’s interests, hobbies, or lifestyle. A grandmother may be remembered by her favourite teacup, a small bottle of her signature scent, and a square of fabric from the quilt that covered her bed. Ideally, items chosen will offer viewers a memory and a smile, every time that the shadow box is seen. Few things are more powerful than the written word, especially when notes and letters are handwritten, rather than typed. Those who are dying can pen personalised letters to those they hold dear, offering kind words, sharing advice, or simply declaring their love. Such letters are sure to be treasured and kept as special remembrances of a life that ended too soon. It has been said that as long as one person holds memories of someone, they are not really gone. Losing a close friend or family member is one of life’s difficult realities, but most people keep their departed loved ones forever near by thinking back over the times that they shared. Creating tangible memorabilia can reinforce those memories, helping survivors to keep loved ones a part of their lives. My sister has been diagnosed as having a malignant tumor on her pancreas and a possible tumor on one of her lungs. She is 80 yrs old and has not been able to take vacation as she has been caring for two grandsons for the past 15 yrs. My Sister has always wanted to visit Disney in Orlando but has limited income. She will be undergoing surgery on august 31st to have an aneurysm removed from her leg. Unfortunately, I live and work in Virginia and she lives in Florida near my other sister in Homestead. Her tumor was seen in March of this year because she had developed fluid around her lungs and heart. My other Sister in Florida is the one who has asked me to write to an organization to grant my sister one of her last wishes. Can you point me in the right direction to help my sister's wish come true? Hi, i was diagnosed with stage 4 ovarian in January and even after 6 chemos and surgery to have a total hysterectomy and a bilateral oopherectomy to get as much of the Cancer out as possible I am terminal, I have to get two more lots of chemo and antibodies but it's just to buy me extra time not cure me, do I qualify for a giant, I want an adjustable bed, ok Thank you. I am terminally ill have been diagnosed with pancreatic cancer which has spread to liver and pelvic I am 33years old and have a 4year old boy Am I able to get a wish/grant? Thank you for your time. Rabina. I have been asked a number of times to present my online memory book website to a group of clinic nurse specialists who care for people affected by cancer. This was by invitation through personal recommendation as the site was developed round helping people in a residential care setting but I've had very warm responses on those occassions. The nusres could see real value in creating memeory books.